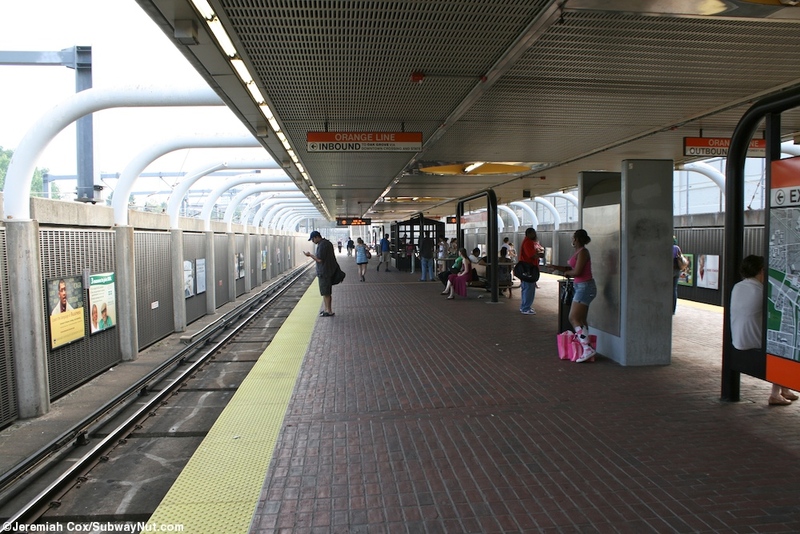 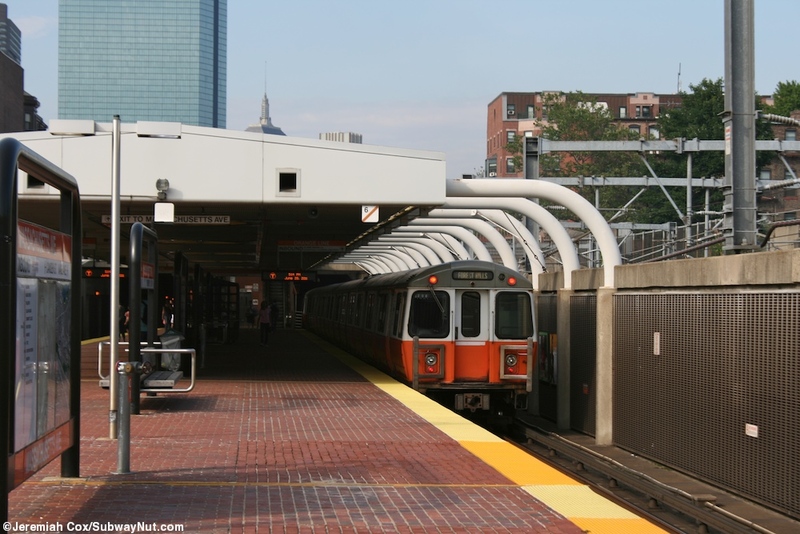 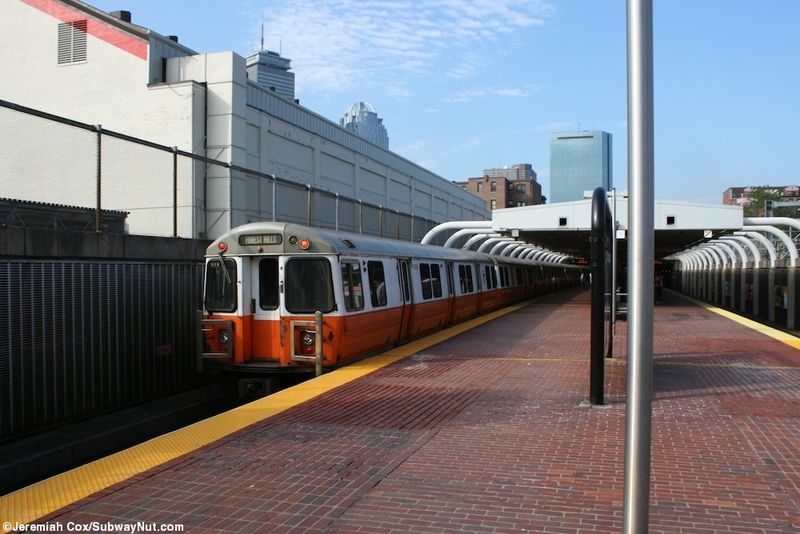 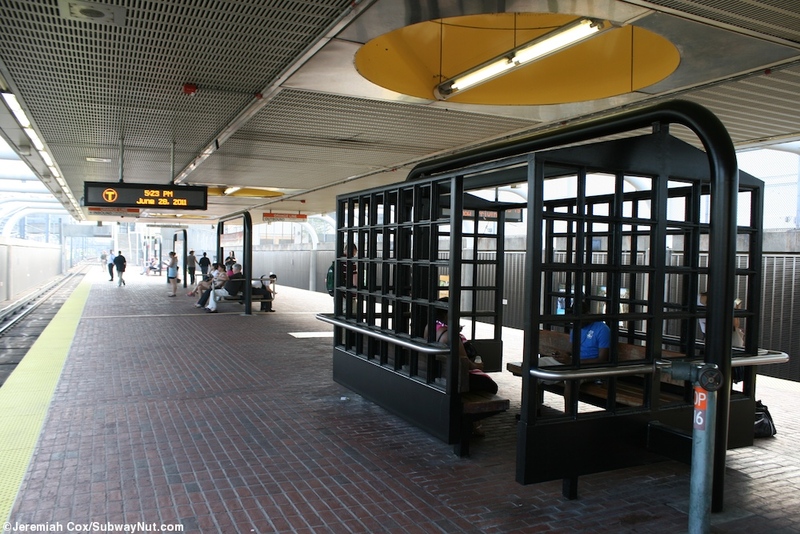 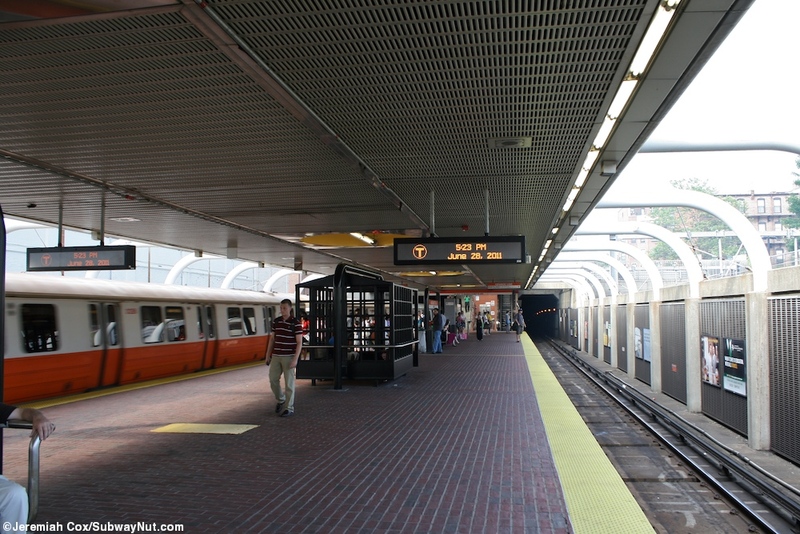 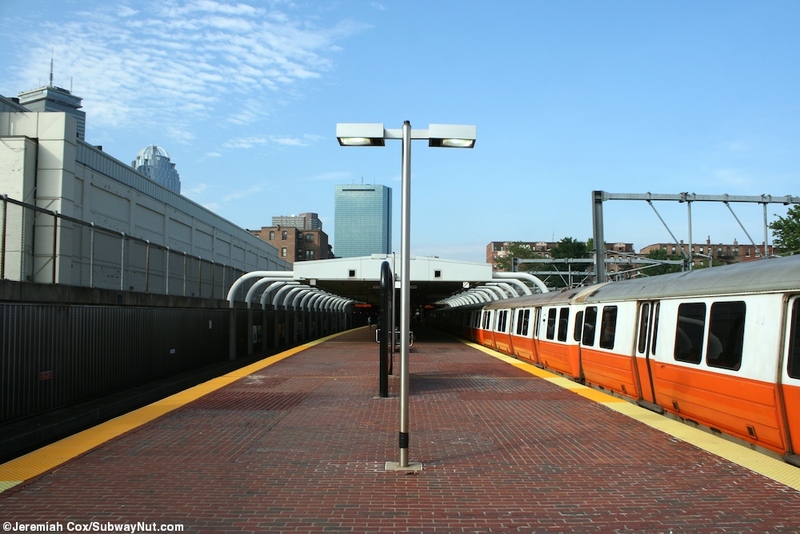 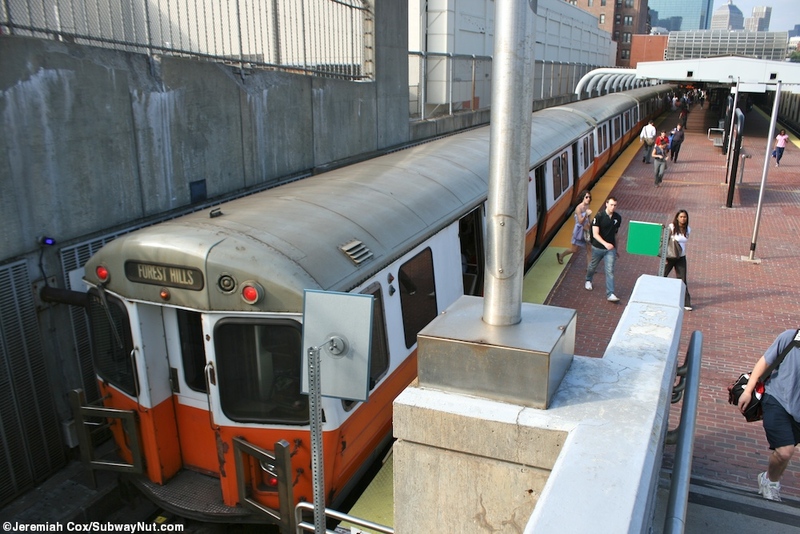 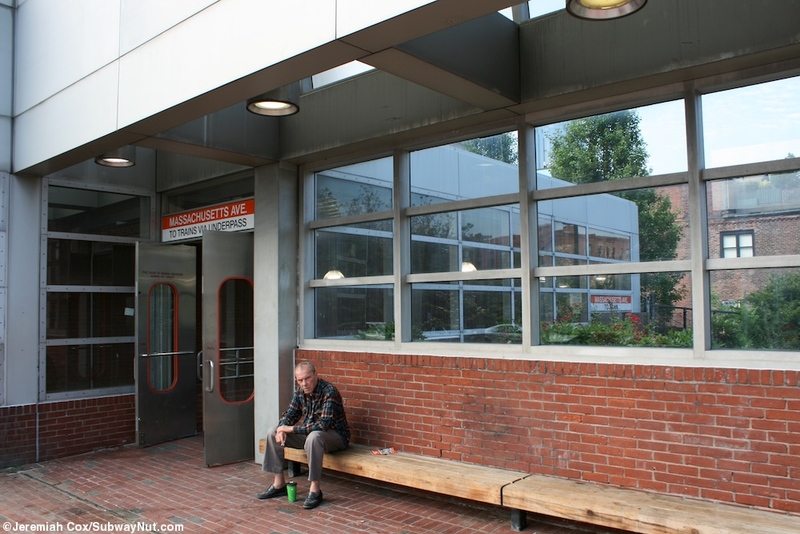 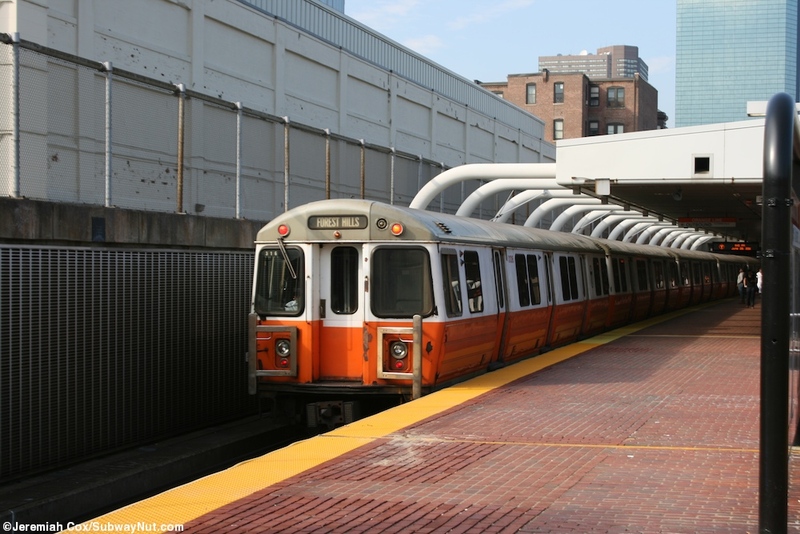 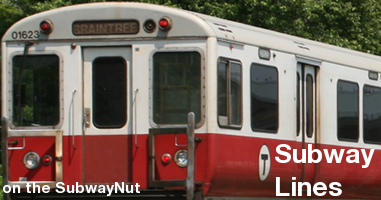 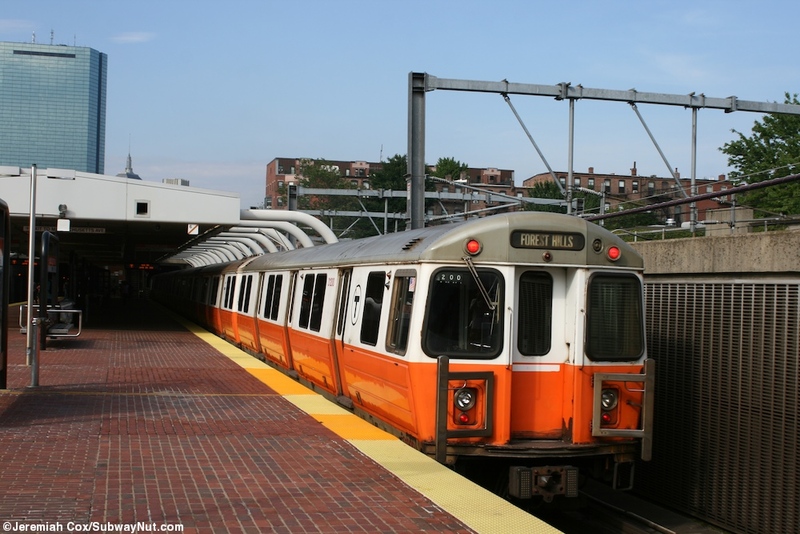 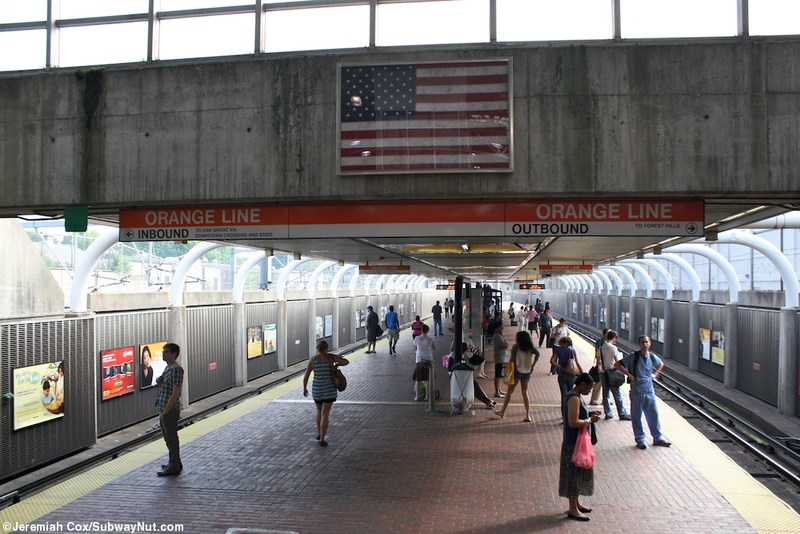 Massachusetts Avenue is a stop on the Orange line with the sandard island platform in an open cut where the line is sharing its ROW with the North East Corridor. 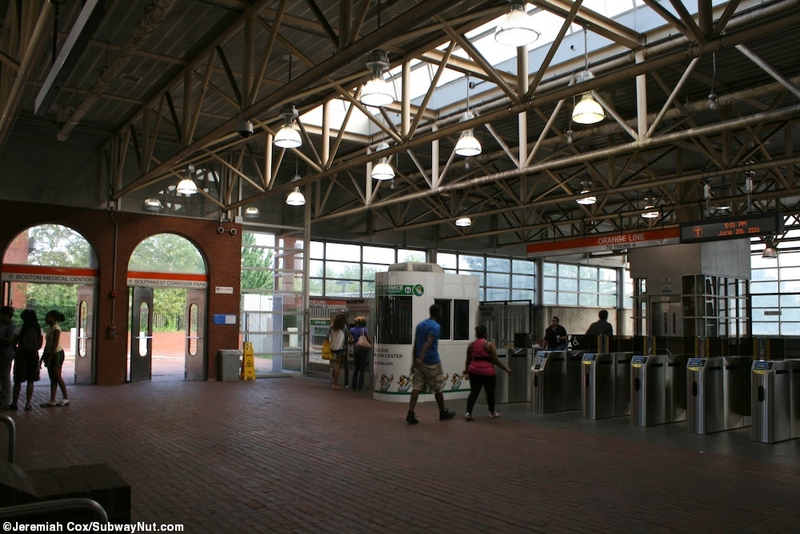 The island platform has a canopy that is suspended over the platform via arched steel supports meaning there are no columns on the platform itself and covers all but the southern two cars that stop in the station. 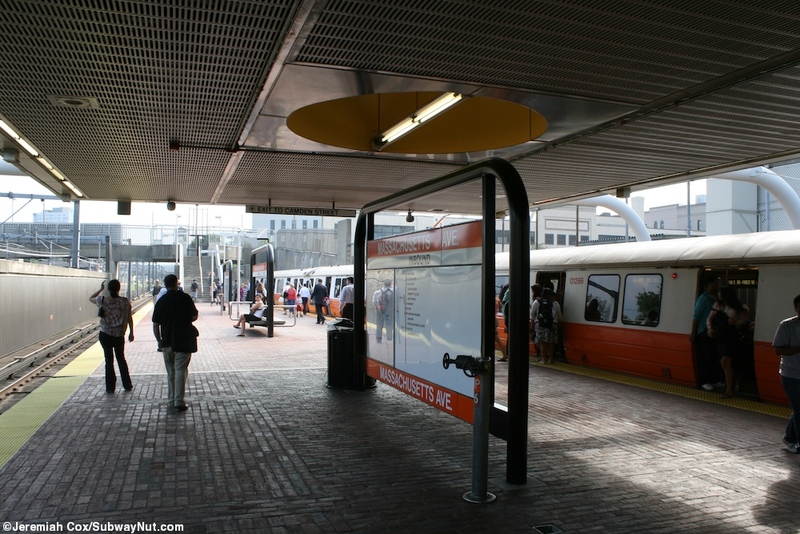 It has the arched black mini-windscreen type structures with information signage and the trademark station name on its orange background. 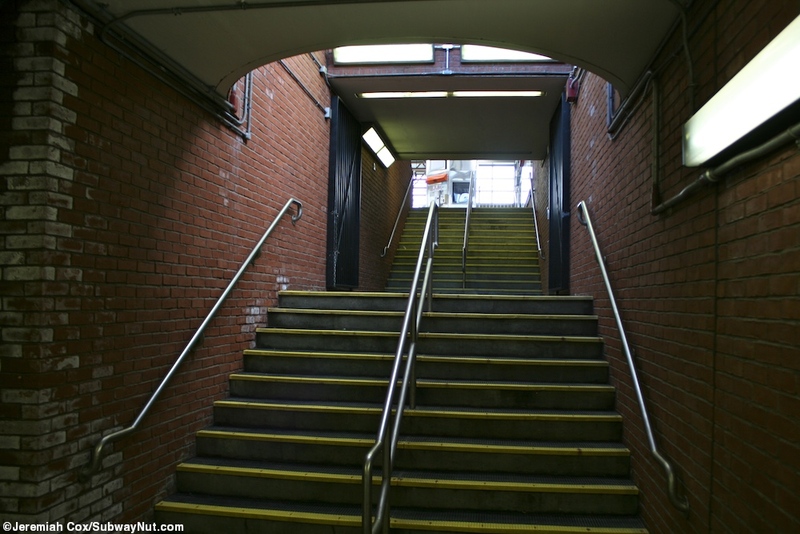 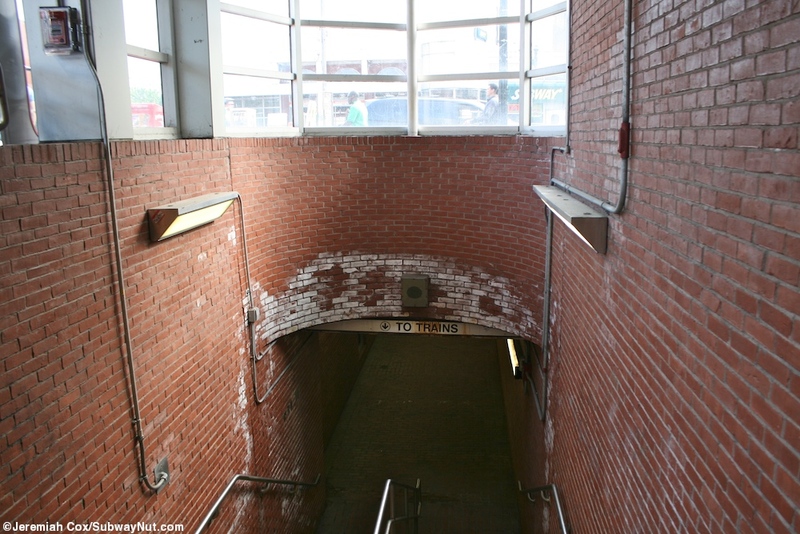 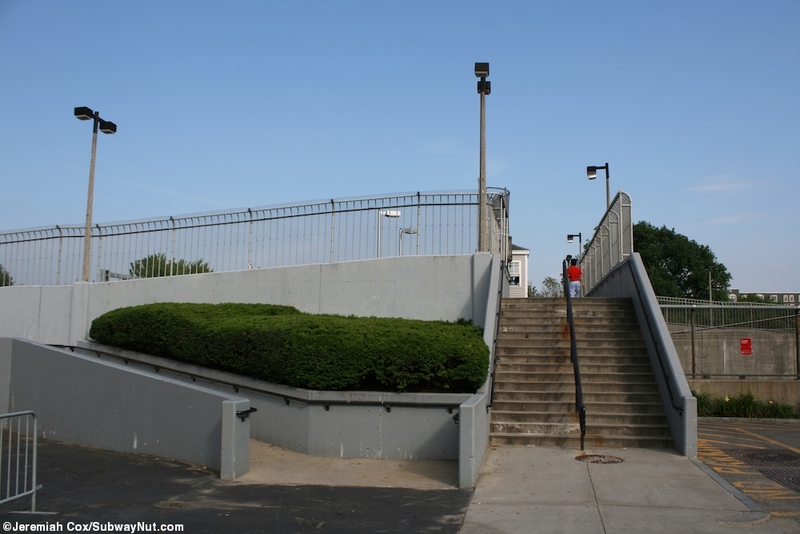 The stop has two exits one consists of an exposed staircase at its southern end that leads to a High Turnstile (with a guard in a booth alongside it) to a small pedestrian overpass that connects Gainsboro Street and Camden Street near the New England Conservatory of Music. 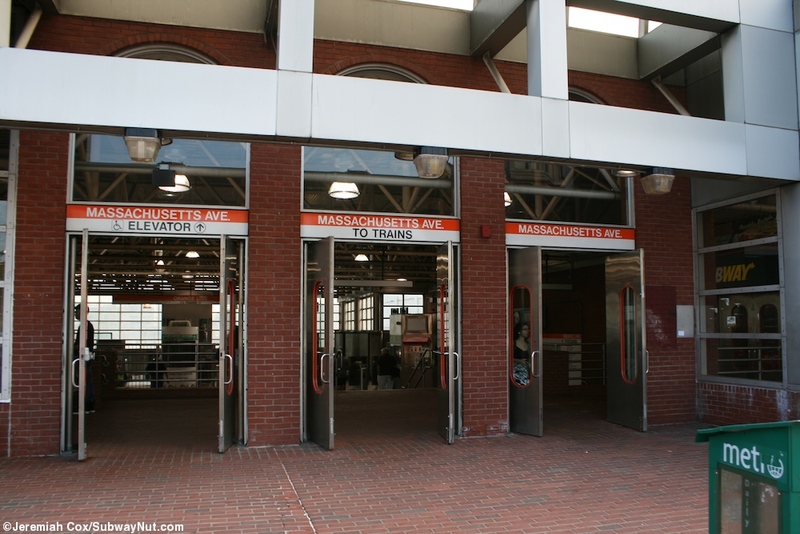 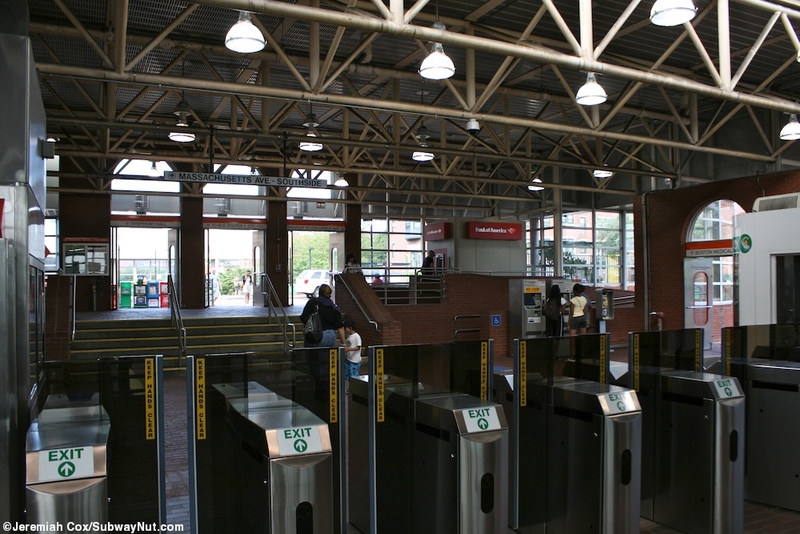 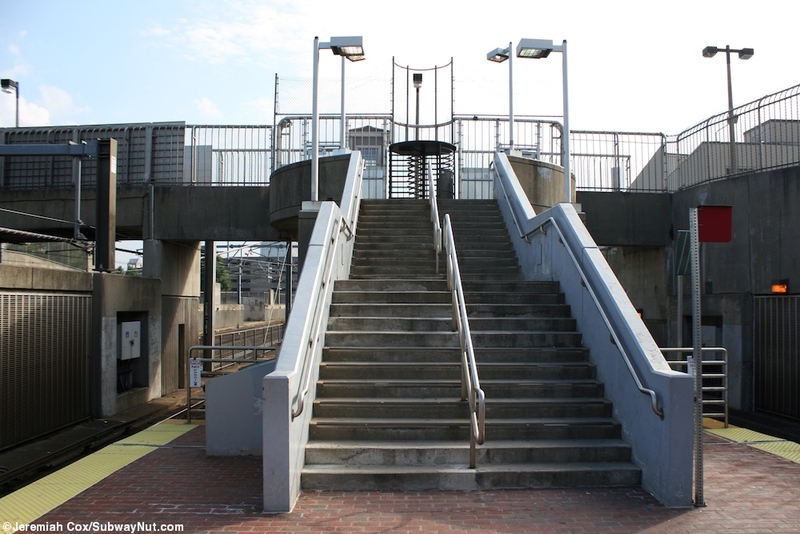 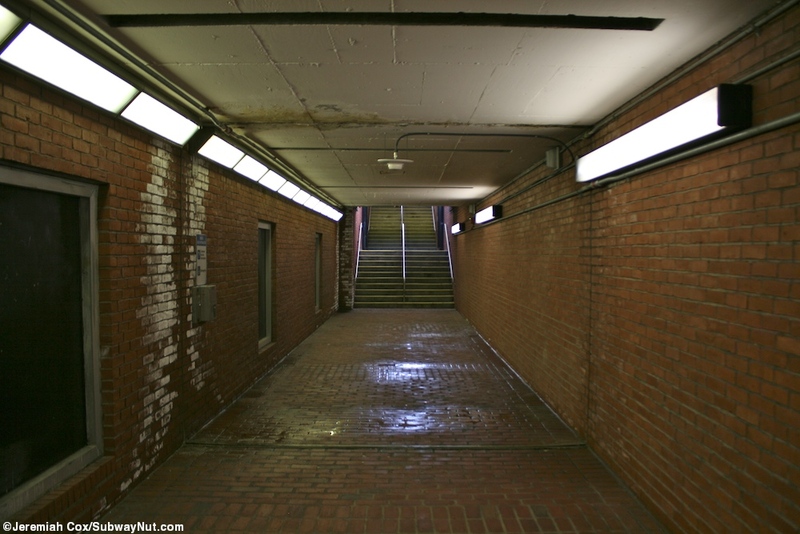 At the northern end of the platform is the stations main exit where a staircase up escalator and elevator lead up to a large station house at street level and to doors out to the southern side of Massachusetts Avenue, a pedestrian underpass via steps leads beneath wide Mass Ave to another northern entrance.